Gravitas Ventures has acquired domestic VOD rights for Steve Balderson's festival favorite 'HELL TOWN'. Presented as three episodes of a sadistic twist on Masterpiece Theater, Balderson (Firecracker, The Casserole Club) and co-director Elizabeth Spear have carved up a serialized story filled with catfights, cliffhangers, broken hearts and murder. Since the world premiere sponsored by the Austin Horror Society and Alamo Drafthouse, 'HELL TOWN' has made audiences and critics laugh and scream, picking up awards for Best Feature at Colorado Horror-Con, as well as a Best Feature and Best Actress win for Amanda Deibert, with nominations for Best Actor, Best Director, Best Screenplay and Best Cinematography, at the Crimson Scream Horror Film Festival. 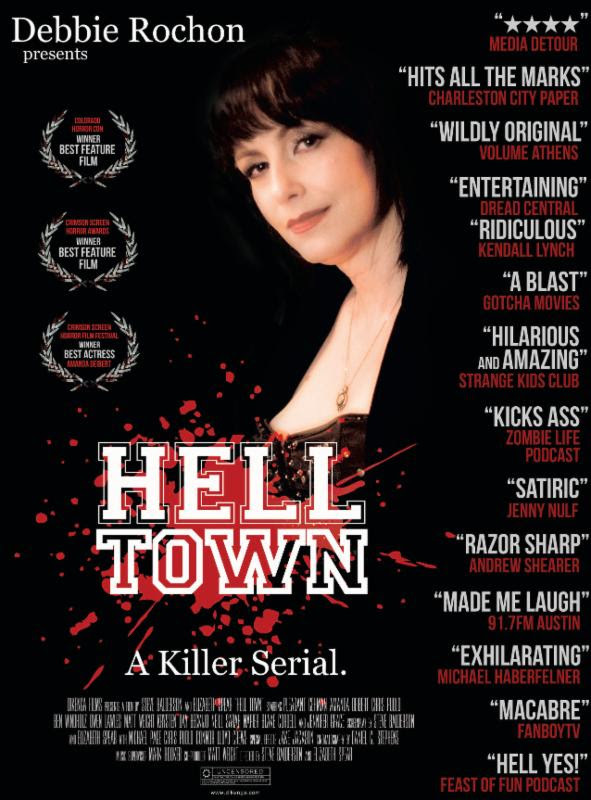 Debbie Rochon (Model Hunger, Return to Nuke 'Em High, Killer Rack, Serial Kaller) headlines as the hostess of the three surviving episodes of 'HELL TOWN', following the melodramatic and potentially short-lived lives of Krysten Day, Amanda Deibert, Owen Lawless, Ben Windholz, Jennifer Grace and Balderson muse Pleasant Gehman. "HELL TOWN" soap opera slasher - teaser from Steve Balderson on Vimeo.